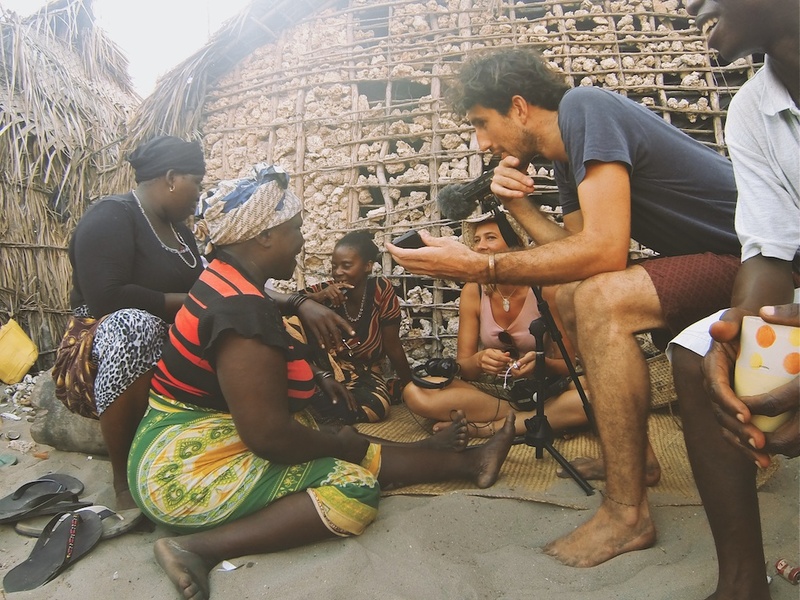 The Vamizi cultural music project was initiated by Philippa Glazer in 2014, with the aim of celebrating commonality and cultural diversity, the island's marine sanctuary and nature conservation as well as its exquisite beauty. Music has always been my number one passion, because of its power to unite strangers, to transcend barriers and to fling us back in time and space to a magical moment, a feeling, a deserted beach..... Music is undoubtedly the universal language, and wherever I travel to in this enchanting world I am always looking and listening for the music there. 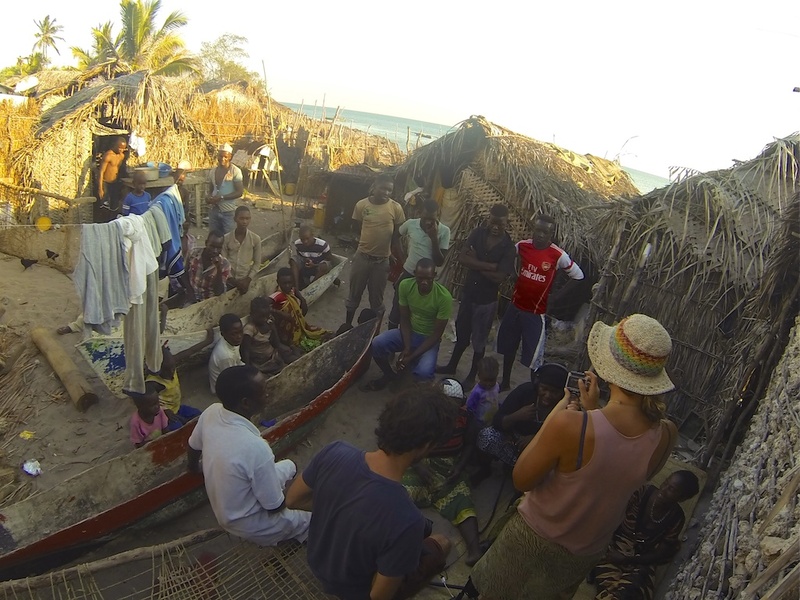 While I was part of the team last year, I had the idea of creating a music album on Vamizi, music which would reflect the deep beauty and charm of the island, the natural harmonic soundscape as well as the joyful innocence of the indigenous people. I could not think of a better person than my dear friend, sound partner and brilliant uk-based music producer, Alex Forster, to join me for the pilot phase of this exciting endeavour. Alex and I have collaborated on similar cultural media projects before. We first met in South Africa in 2011 whilst working on a documentary film directed by a mutual friend, Jamie Catto, on the plight of HIV orphans. Alex and I share a mutual passion for spontaneous creative collaborations. Our project kicked off in November 2014, where we set up a mobile recording studio in the famous Casa Marjani Stargazing Tower on Vamizi, which proved to be the perfect space to let the magic happen! We then embarked on an exciting week-long journey around the island, doing field recordings of all the delightful natural sounds we came across such as footsteps on the white sandy beaches, shells tumbling in the ocean, drumsticks on coral, weaver birds singing, the flapping of dragon-fly wings and the dreamy lapping of waves against the shore. We also spent time in the heart of Lance Village with the beautiful local lady singers who were so friendly and who warmly welcomed us with their offerings of very sweet tea! Alex and I sat together with the singers in a circle on their straw mats in the sand for a few hours where, despite the language barrier, we bonded and shared many giggles and precious moments together making music. This is where we recorded the vocals which became the essence of our first track "Karibu Vamizi" - "Welcome to Vamizi". Alex then started compiling the rhythmical elements of the track in the Marjani studio, made entirely from the sounds we had recorded around the island, as well as introducing some keyboards and guitar. We then held further recording sessions with the Private Villa staff who were thrilled to participate and sing for us, adding even more emotion and deeper layers to the chorus of our track. Alex has since done a fantastic job with the final mix back in his London studio, and we are both very pleased and happy with the end result. 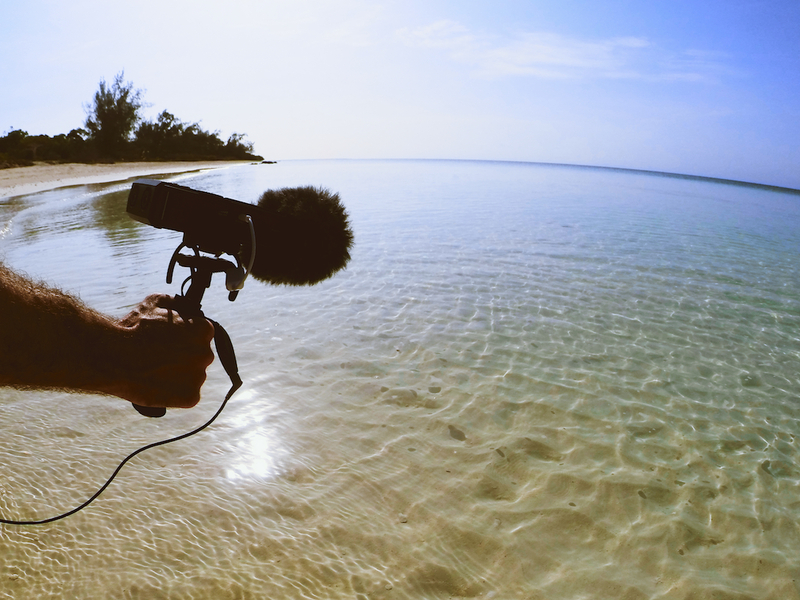 We are also very excited that the music is being used in the sound track for the upcoming international documentary on Vamizi and the marine sanctuary by acclaimed directors, Mattias Klum and Maryanne Culpepper. I am extremely grateful to everyone who supported me in making this project happen, as well as to everyone who participated. I would love for this music project to continue to grow and to make more magic and music happen on Vamizi!